Win a truckload of Walking Dead goodies. I’ve spoken before about the role that the comic of The Walking Dead played in me becoming an author. Before it became a sprawling and colossal TV series, I got quite addicted to the graphic novel. At that time I was already writing a tale about two layabout stoners going on a road trip in the UK, but it wasn’t going anywhere. Then I got the first volume of The Walking Dead, where Kirkman spoke in his intro about getting to the end of every zombie film ever made and wondering what happened next. I felt the same way about every end-of-the-world tome I ever came across. My road trip novel soon morphed into the apocalyptic tome it is today. I wanted to explore that same idea, except removing the zombies altogether. 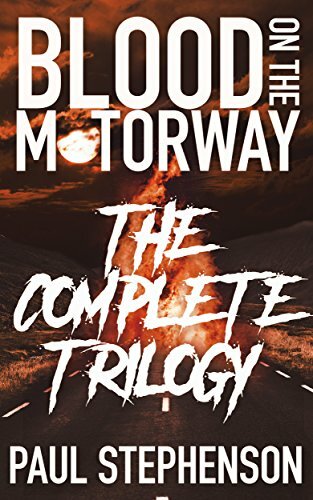 So, with the second anniversary of the release of Blood on the Motorway fast approaching, I’m beyond delighted to be involved in a very special Walking Dead themed giveaway. Unfortunately, it’s only open to you if you’re in the US, so if that’s not you then, well, sorry about that. 'A Place Called Hope' & 'A Place Outside the Wild', by Daniel Humphreys, signed by the author. Entering to win is easy. Just enter your name and email at this link. Follow sponsoring authors on other social media platforms and share the giveaway for additional entries. By entering this giveaway, you AGREE TO BE SUBSCRIBED to the sponsoring author's newsletters listed in italics below. You may individually unsubscribe at any time. Sponsoring Authors: Eli Constant, Claire C. Riley, Russell Nohelty, Dani Dixon, Matthew Jones, Daniel Humphreys, E.B. Black, Shane W Smith, Kristen Renee Gorlitz, Erica Gerald Mason, L.K. Hatchett, Baileigh Higgins, J.D. Oliva, Carmelo Chimera, N.S. Paul, Tyler James, David Lucarelli, Terrance Grace, & Pauline Creeden. Oh, and me. Best of luck to you, I’m extremely peeved that I don’t get to enter it myself!